Scotch whisky exports: ripe for recovery? As international shipments of Scotch whisky fall for the third year running, should the industry be worried? And, if so, just how worried? Richard Woodard runs a rule over the figures – and considers what might happen next. Global export figures suggest a return to growth may be around the corner for Scotch whisky. Scotch whisky’s third consecutive year of export decline in 2015 is clearly bad news for the industry – but the question remains: just how bad? According to an analysis of the latest HMRC figures by online trading platform WhiskyInvestDirect, export shipments of Scotch fell 2.6% to £3.85bn in 2015, with volumes down 2.9% to the equivalent of about 1.1bn bottles. 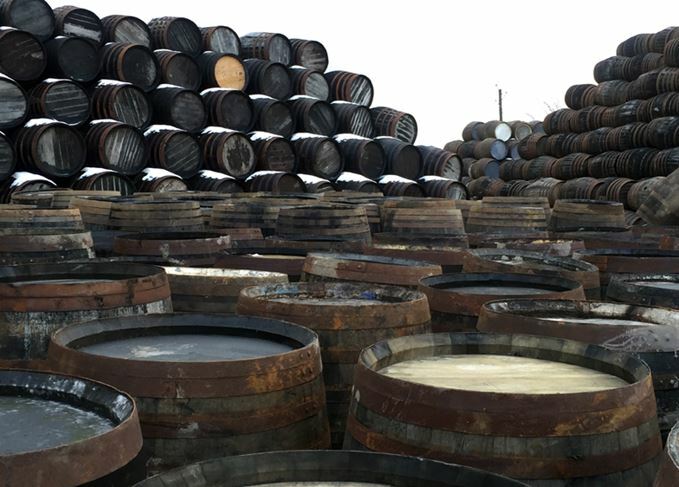 It’s important first of all to state that these figures represent whisky leaving bond in the UK to be shipped overseas – and as such they do not equate to what’s being bought – let alone consumed – in those export markets. At time of high demand, such as in 2011, shipments tend to run ahead of consumption, as both suppliers and distributors stock up in anticipation of that demand continuing to escalate. By the same token, if consumption falls away again, there tends to be too much whisky in the supply chain; distributors will therefore buy less, or stop buying altogether, until stocks are used up, having a disproportionate impact on shipments. This has undoubtedly happened in some markets over the past few years. Scotch whisky exports to Eastern Europe took the biggest hit in 2015, predominantly as a result of Russia's geopolitical issues. With that caveat in mind, let’s look at the figures in more detail. The global decline disguises a mixed year for Scotch whisky’s main export markets: of the top 20 destinations, 12 saw value increases – but 11 recorded volume declines. Thus the US, Scotch’s most lucrative export market, held steady in value terms, but declined almost 2% by volume; not surprising, perhaps, given the recent gains by single malts at the expense of (typically cheaper) blends. Scan down the top 20 list and there are a number of areas for concern: declines in France, the biggest market by volume, and severe problems in South Korea, where Scotch is in long-term decline as consumers switch to lower-alcohol products. South Africa and India – two of the great hopes for Scotch in recent years – also exhibited worrying declines, while Spain’s decade-long slump continues (perhaps surprisingly, given anecdotal evidence of improving conditions there). Brazil, meanwhile, continues to epitomise the challenges facing most Latin American economies, beset by a reversal of a period of strong economic growth and a weak currency, the real. The value of Scotch shipments there fell by nearly 30% in 2015 alone. One senior industry executive expresses surprise at the near-double-digit decline in Taiwan, but highlights the apparently much more positive growth in the Netherlands, theorising that parallel trading through Rotterdam to the Far East may offer an explanation for both figures. And on the positive side? Mexico continues to report excellent growth as demand continues for value Scotch brands such as Diageo’s Black & White and Chivas Brothers’ Passport. Other star performers include Turkey and Poland, while Japan has returned to good growth after years of decline, and both Canada and Australia have had solid years. Finally, China – where high-end consumption has been severely impacted by the government’s anti-extravagance campaign – exhibited some belated signs of positivity. Exports to mainland China and its key suppliers (Hong Kong, Singapore and Macau) rose 3%. The rise of luxury single malts boosted value increases in 12 of the top 20 Scotch whisky markets in 2015. But perhaps the most eye-catching market performance is that of Russia, where a dramatic slump has seen sales all but disappear in the past couple of years. In 2013, some £24m-worth of Scotch was shipped there; by 2015, that figure was reduced to £0.6m including, says WhiskyInvestDirect, not one bottle of blended Scotch. Russia has been hit by a combination of geopolitical issues – Ukraine, sanctions from the West – and macroeconomic travails, including the sharp fall in the value of the rouble, that are closely intertwined. Beyond these factors, though, the country’s economy remains heavily reliant on natural resources, and particularly oil and gas. As the price of the former has slumped, so has consumer confidence and, as a result, Scotch whisky sales. That’s had an impact on shipments to Russia, but also, somewhat counter-intuitively, on those to Estonia and Latvia. As WhiskyInvestDirect points out, these countries are vital conduits to the Russian market for Scotch, and that position has led to a 47.5% (or £75m) slump in shipments to the two states since 2013. The declining oil price has impacted shipments to other markets too, most notably Venezuela (down 58%) and Nigeria (down 54%). Taken altogether, it’s a complex and somewhat worrying picture for the Scotch whisky industry, which already has other challenges in terms of single malt supply and the competitive threat from other whisky-producing nations. But there are some glimmers of hope too. The overall shipment decline moderated during 2015, from -4.2% in the second quarter to -2.9% in Q3 and -1.5% in Q4 (the industry’s heaviest trading period). That suggests that the supply chain may be starting to demand more whisky again as the pipeline empties, although it will be some months before this incipient trend can be confirmed. The US became the first billion-pound Scotch whisky market as single malts continued to surge. Overseas shipments reached a new high of £4.36bn in 2017, up by almost 9% on 2016. Volumes were down, value up as single malts continued their march in the first half of 2017.